Facing saturation in the markets of developed countries, companies are now looking to expand into developing countries in Asia and Africa. Many of these countries are in a unique situation â€” high mobile penetration but low internet and smartphone penetration. Smartphone penetration, although increasing, is still low. In 2015, the countries with the lowest smartphone penetration included Pakistan (11%), India (17%) and Indonesia (21%). The same countries, surprisingly, have high ranks in terms of mobile penetration. Pakistan sits at 77%, India at 81%, and Indonesia at 99%. This shows the high number of feature phones still in use in these countries. 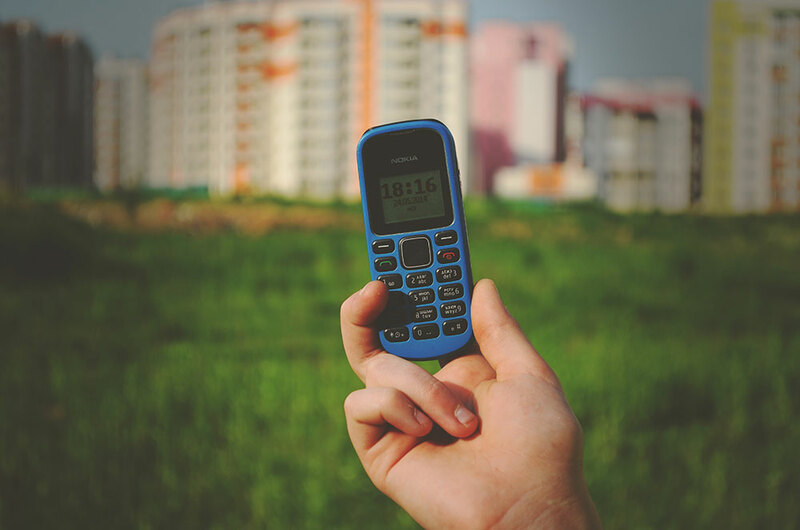 Digital marketing in developing countries should focus on the feature phone â€” where one can make calls and send short messages. As of 2013, 45% of mobile phone activities in India could be attributed to SMS messages. Let us first look at marketing campaigns for feature phones and key metrics that help measure a campaign’s performance. The simplest form of SMS marketing is couponing. It usually involves a user sending a message, and receiving a response. A coupon may be obtained through a product that is purchased, and the response may be in the form of a discount for further purchases, or a mobile recharge. You may also ask the consumer to opt-in for further communications. This helps in remarketing for a future campaign. IVR provides more flexibility over the traditional SMS-based campaigns. IVR is an excellent tool for profiling, as it enables a company to collect more information. It can also be used to run contests. Traditionally, IVR may be used for couponing campaigns, where a user receives a coupon after completing the IVR call. IVR may also be used to run contests. For instance, food brands like Maggi or Heinz may conduct recipe-making contests, enabling a consumer to record a recipe over an IVR call. One downside of an IVR campaign over SMS campaigns is the cost per contact, which may encourage companies to choose the latter. The biggest issue with SMS and IVR campaigns is that the engagement rate is low. In the average time that I use my mobile in a day, I would devote just a few seconds or minutes to an SMS or an IVR call. The answer to higher engagement lies in branded mobile content. Unfortunately, on a feature phone, branded mobile content can be delivered only through a call or an SMS. Hindustan Unilever came up with an innovative solution during the Kan Khajura Tesan campaign (“Ear Worm Radio Channel” in Hindi). In a media-dark region of rural India, Unilever provided an on-demand mobile radio service. Incoming calls are free in India, so the campaign was driven by callbacks through missed calls. Although emerging markets have low internet penetration, countries like India, Indonesia and Pakistan have high populations, and these low percentages turn into huge absolute numbers. For instance, 17% smartphone penetration in India translates into a number that is larger than the population of Brazil, and 10% of Pakistan is as large as Sri Lanka! Although reaching the larger population is the target, a good idea is to integrate the whole campaign through traditional channels (posters, print media) as well as digital channels (social media, video, search). A good example is provided by Sunlight’s Vesak Campaign in Sri Lanka. In 2015, the detergent brand Sunlight conceptualized a campaign during the Buddhist Vesak festival in Sri Lanka. During Vesak, it is considered auspicious to visit the Tooth Relic Temple in Kandy. The campaign allowed users to have a lamp lit in their name during the festival, which was streamed online via a website. Emerging markets provide unique challenges. However, one must overcome them by designing innovative solutions. With the huge potential in these markets, capturing even a small market share can lead to substantial gains.